The documentary shows how skateboarding, having been "invented" in the United States, took hold in Europe, and how Europeans have appropriated the Californian sport in their own way. Via successive waves of popularity, skateboarding gradually carved out its own speciality, breaking away not only from surfing, but also from the industrial groups that ran the business. A "punk" sport par excellence, requiring neither coach nor any particular outfit, skateboarding was supported by its own heroes, who became manufacturers and businessmen, contributing their technical innovation and their own particular mindset. Today, although most skateboarding business takes place in the US, it is perhaps in Europe that the original spirit of skateboarding has been best preserved. It is this daredevil spirit of fraternity, fun and independence that prompts young skateboarders to become headstrong, creative men. 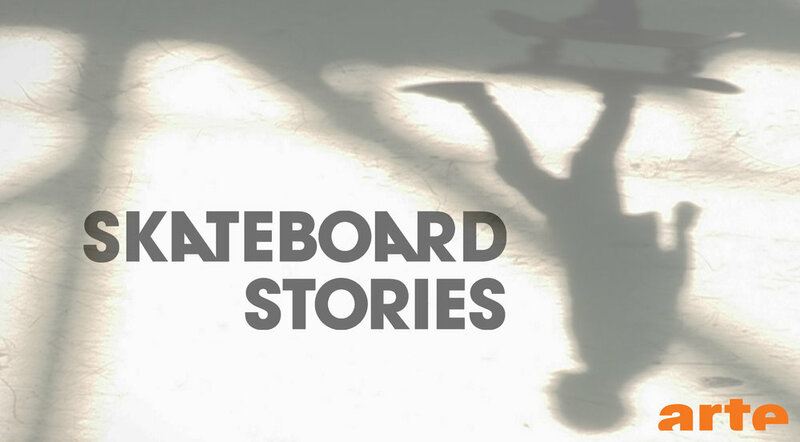 Through travel and encounters, most of the characters in Skateboard Stories have grown up with skateboarding, with its wounds and bruises but also with the endless quest for a place to skateboard, whether in major cities like Marseille, Brussels, Barcelona or Berlin, or just down the street from where they live.